During consultations, various sketches and ideas are presented and solid plan for the sculpture is agreed upon. 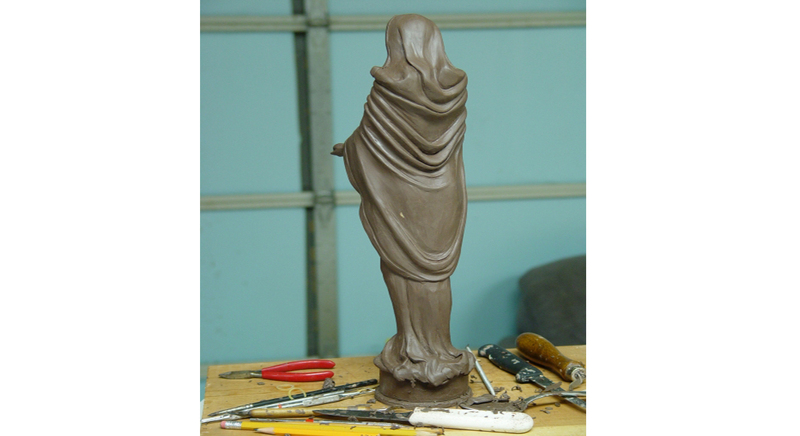 The next step has Janie create a maquette, or small replica, of the sculpture, and this is reviewed before the full sized edition is created. A steel armature, or frame, is built, which acts as a skeleton to support the sculpture while it is in the clay stage. External supports will not be present in the final bronze casting. 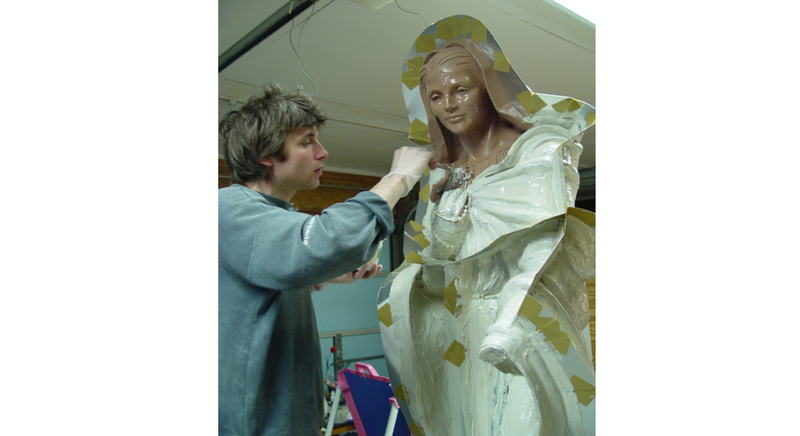 Janie then creates the sculpture using an oil based clay, which does not dry out or harden as do water based clays. Next, the sculpture is fitting with shims, or thin metal plates, that will divide the work’s mold into separate sections. 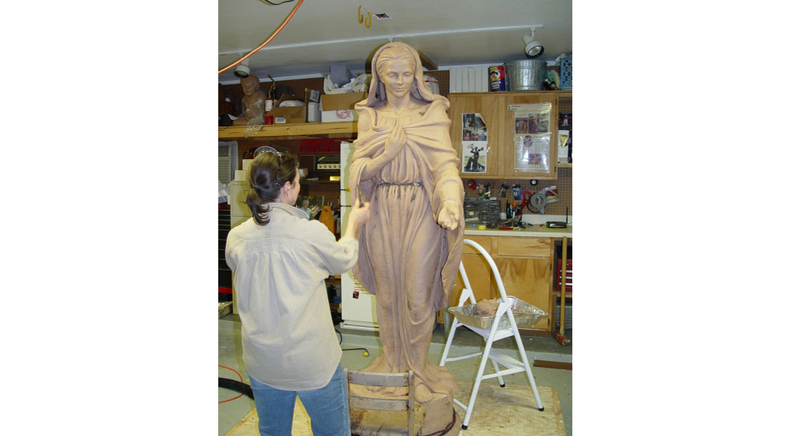 A master mold maker then coats the sculpture in countless thin layers of rubber, which capture even the most minute of details, until the rubber mold is two to three inches thick. 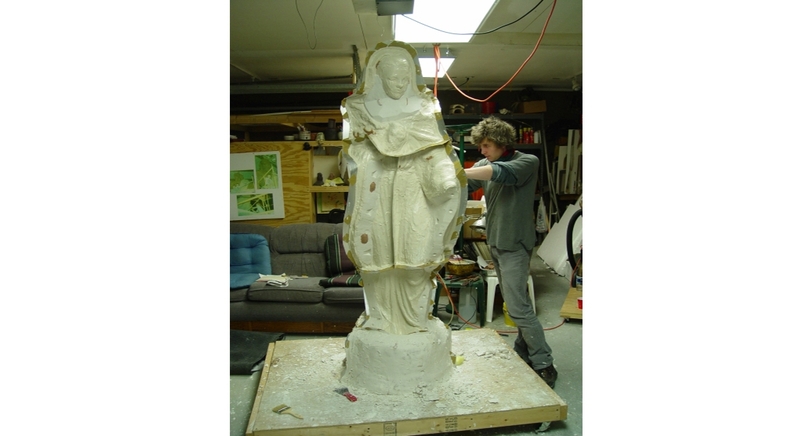 A plaster mold encases this rubber mold to add strength and stability. The molds are removed from the sculpture, and reassembled, creating a hollow void, which is filled with melted wax. 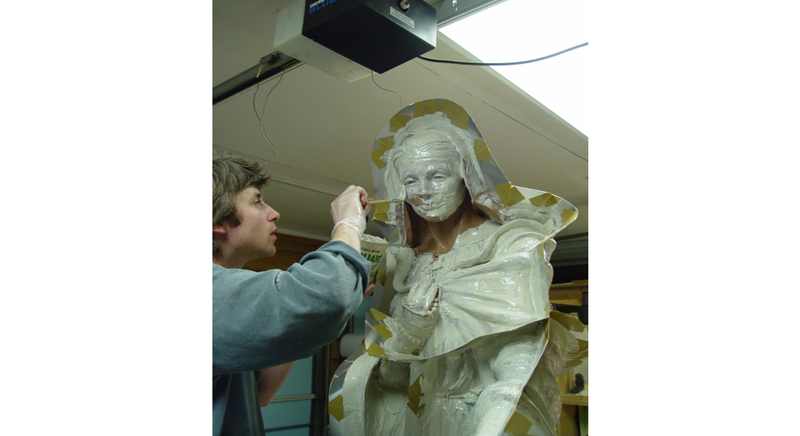 When the way cools and the molds are removed, there is now a wax version of the original sculpture. 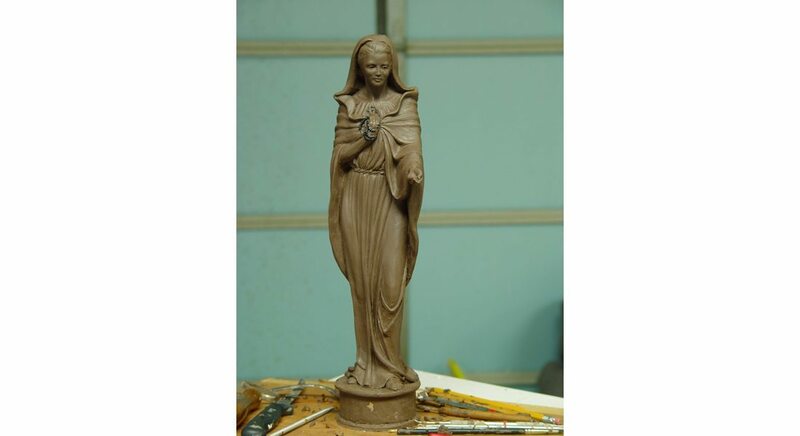 This wax sculpture is coated with a slurry, or a mix of ceramic and sand, then flash fired, which simultaneously melts the wax out of the mold and hardens the ceramic shell. Bronze is heated to the liquid phase and then carefully poured into the ceramic shell. 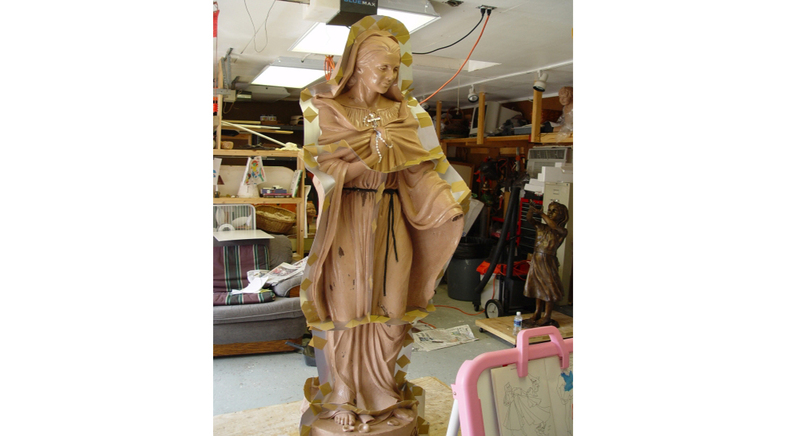 Once cooled, the ceramic shell is broken and removed in pieces from the bronze casting. 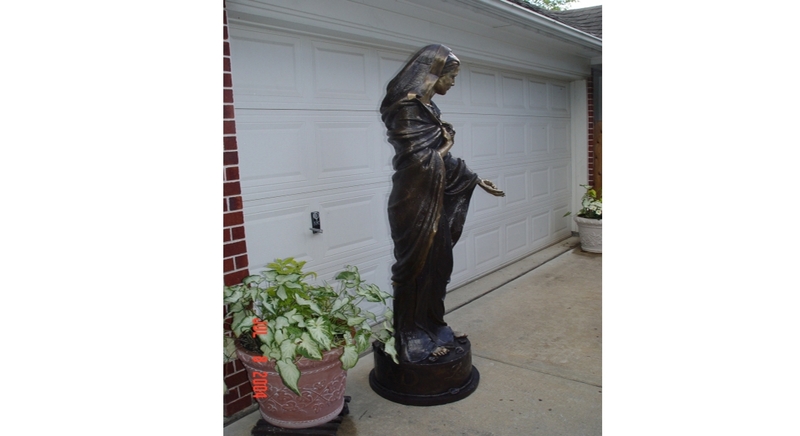 The final stages include any finishing touches on the bronze to remedy surface imperfections, welding, assembling, and smoothing the pieces of the sculpture if it had been cast in separate sections, and applying a patina, or finish, to the bronze sculpture. The finished piece is ready for delivery, installation, and unveiling.